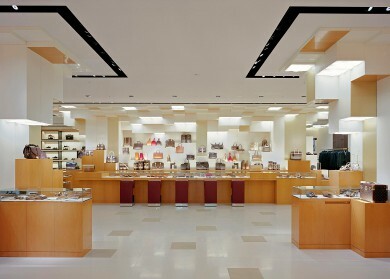 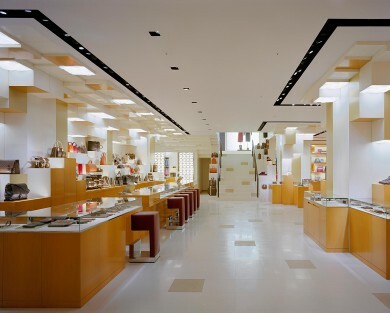 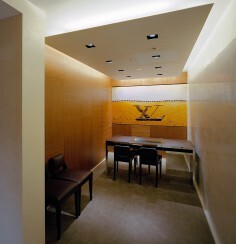 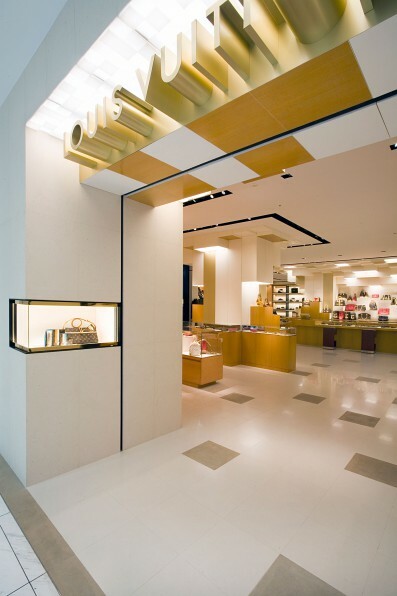 Located in the heart of Tokyo’s Ginza district is the design of Louis Vuitton’s 560 square meter luxury flagship store. 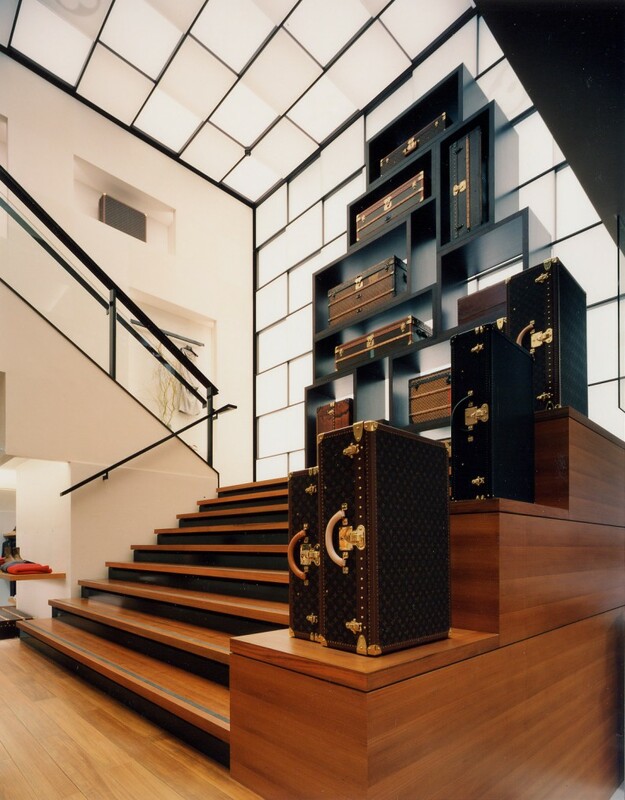 The two level interior is composed and decomposed by vertically extruded of anigre wood, Corian, limestone, polished stainless steel and leather squares drawing from LV’s “Damier” checkerboard motif. 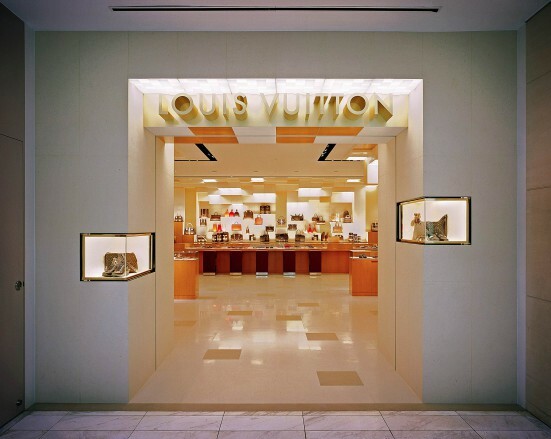 The proliferation of 3-dimentional squares extend down from the ceilings and up from the floors to create the wall displays, free-standing furniture, entry ways and the central stair to spatially binde the two levels into a distinctively customized Louis Vuitton environment.